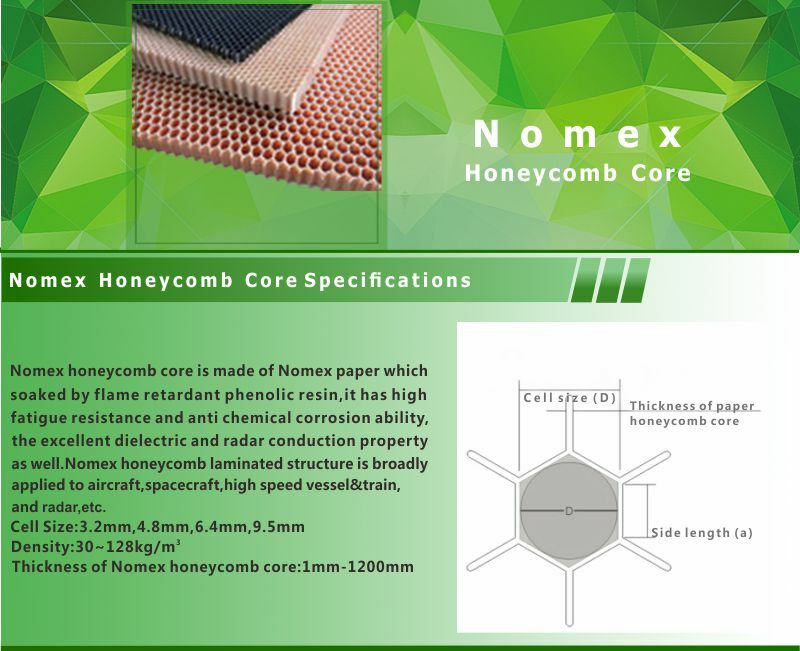 Nomex Honeycomb Core is made of Nomex paper which soaked by flame retardant phenolic resin. It has high fatigue resistance and anti chemical corrosion ability, the excellent dielectric and radar conductive property as well. 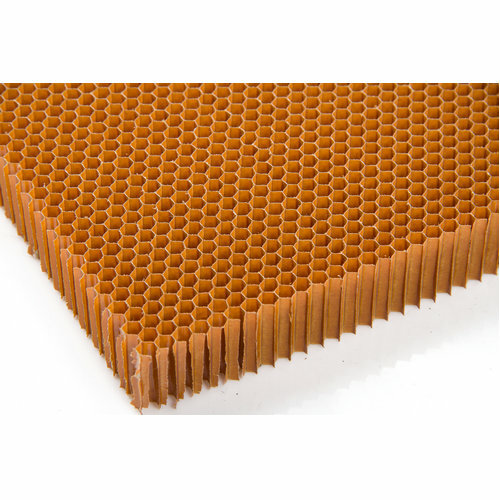 Nomex honeycomb laminated structure is broadly applied to aircraft, spacecraft, high speed vessel & traun and radar etc. 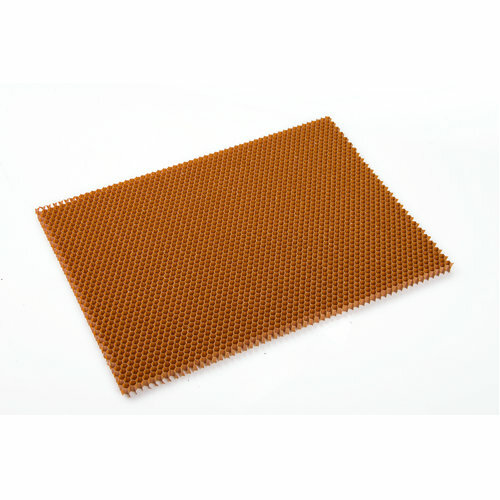 In aerospace, we can supply light-weight, high-strength honeycomb to aircraft interiors, radar antenna cover, missile customer. In civil aircraft field, we can supply to sports aircraft, un-piloted aircraft model, un-piloted target drone, un-piloted helicopter model and etc. 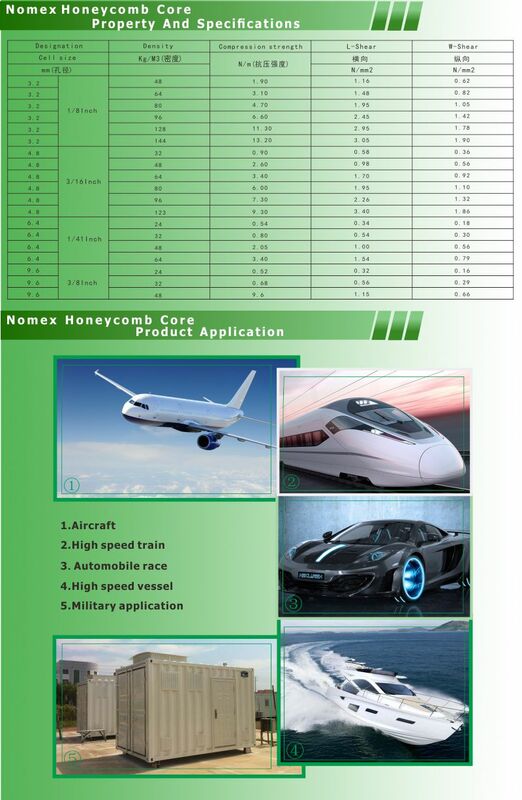 In transportation field, we can supply to high-speed train, yachts, racing boats and etc. 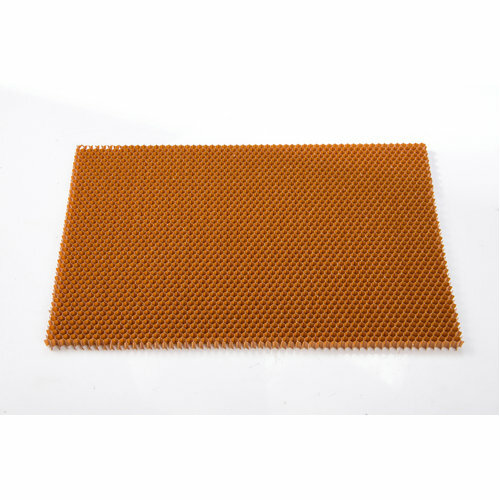 In Architecture filed, we can supply to Clean room, Ceiling, Wall panel and etc.